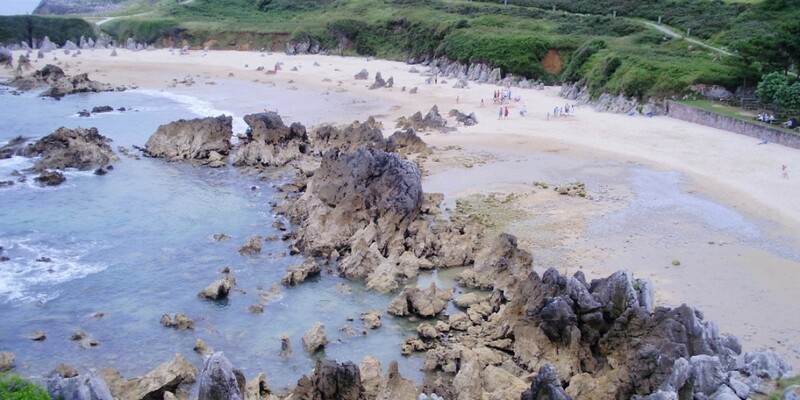 Along the 35 coastal kilometers of Llanes await an unusual density of villages, and a sandy routine with statistically probable thousand meters coves. More than thirty beaches is the baggage of a sea tired of war looking at harbors and estuaries, but also in the harshest and high cliffs, the precise size salon as sculptures of limestone admire, and groundwater for which keep looking for a bit of calm. The length of the beaches varies from 20 meters Villanueva until the 1200 San Antolin. The great bulk can be called coves strictly, and do not exceed 150 meters in length, although we find them also higher, like Vidiago 200 meters, Toró: 220, Andrin: 240, Barro: 250 (one of the busiest in summer), Toranda (European blue flag): 300, Ballota: 350, Cue: 380, Palombina: 300, Borizu: 400, Torimbia (for nudists, of extraordinary beauty): 500, the Portiello of San Martin: 750. In most unforgettable corners they are, with few direct traces of urbanization on the coast. Should not enjoy them strictly in July and August, when some of them have a large influx. 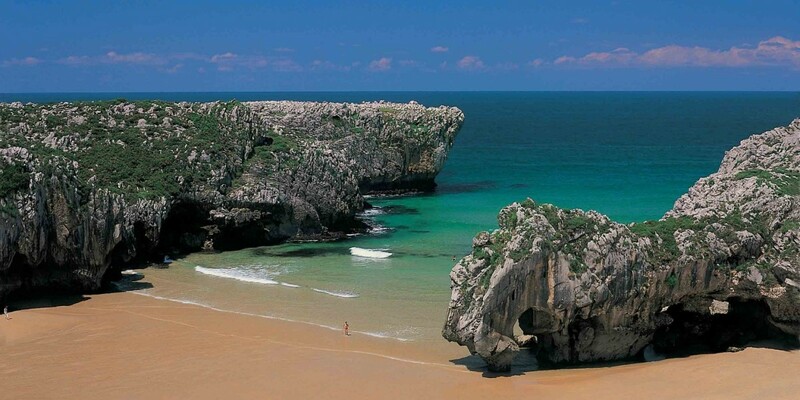 Llanes beaches are a privileged setting for a refreshing walk in any month of the year. They have a rugged hard idiosyncrasy to find elsewhere. The invasion of the meadows at the edge of the beach itself, usually accompanied majestusamente carved rocks that as a fine sculptor works are arranged here and there to be admired. Islets and forts are frequent. Accessibility is almost always good. Half of them can bring one car, get to the other half it represents however a small exercise walker. In some extreme cases access is difficult or tortuous much. Although they are counted on the fingers of one hand.